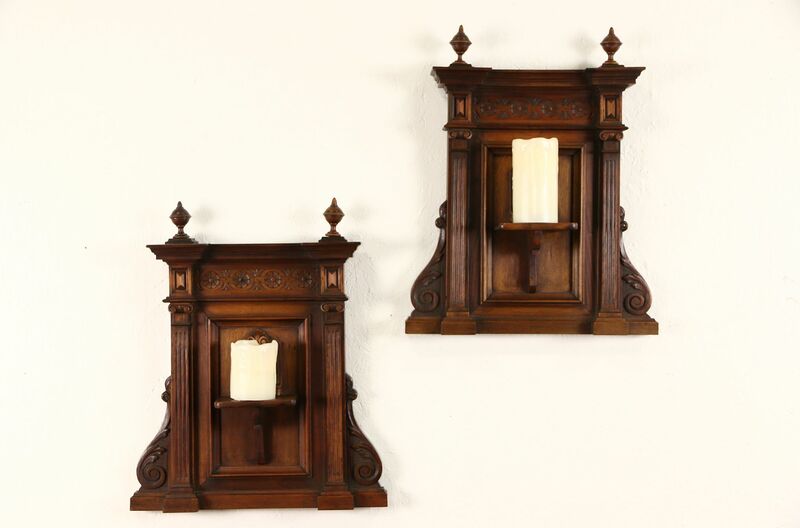 A pair of hand carved architectural fragments with shelves are solid walnut from about 1890. Sculpted in Italy, the original finish is very well preserved and has been waxed and buffed. Size is 18" wide, 21" tall and 4" deep. See 17 photos on Harp Gallery website that enlarge to full screen size.